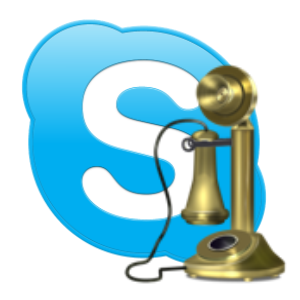 Many people still use an older version of Skype. They probably just don’t want to switch to a new interface because they will have to get use to it all over again. But what are the advantages and disadvantages of using an old Skype? Well, this is exactly what we will talk about in this article. Comfort – Using a certain program interface for a long time brings us comfort. We know where everything is and how to work use it. Performance – Very often when a computer program gets updated, it becomes not only slower but bigger as well. It takes up more of the memory of your computer and requires more processing power. This is caused by all its newly added features. For example Skype 1.2 is around 6 MB in size, Skype 2.0 – 9 MB and Skype 3.0 – 19 MB. There are exceptions, of course. Missing features – If you are using an older version of Skype you will not be able to use some of the new features. This is pretty normal for every program. There are exceptions to this rule as well. For example the Extras Manager was removed in Skype 5.3 so you actually need an older version in order to use it. Security holes – With each new version of Skype more and more security issues are resolved. This makes it even harder for viruses and hacker to harm you. More bugs – With each new update part of the bugs are fixed. So almost always older versions have more bugs and errors. Incompatibility – The older the program – the more compatibility issues it has. One of the ways to fix this it by using the compatibility mode in Windows. For example in Windows 7 (or Vista) you can start a program in Windows XP mode. Keep in mind that this will not always solve your problems. No technical support – Skype offers technical support only for the most recent version. Actually this makes sense because many problems are already fixed in newer version. And it is much easier to track the issues with the most recent one instead all the problems with all the old versions. Can you think of any other advantages or disadvantages of using an old Skype? Share your thoughts in the comments below. How to use an old version of Skype? In order to use an older version you first need to uninstall your current Skype, then download and install the version you like and then disable the Skype updates. I have noticed that some messages are not arriving properly, or at all. I’ve been told from many that they have sent me messages but they have not been arriving, ever. Thanks for the comment. I have heard of this as well. But I am not sure if this is caused by the older version. Often this is because of bad or unstable internet connection. Have encountered a case where this issue has been resolved only after updating to a new version? Yeah.. I had an older version and it had the same problem… Now today from this site I downloaded Skype 5.5. It’s good and all the messages are being delivered properly but I don’t know how it will act in the future!! Ok, the real question is: How do you RUN the older versions of skype? Any version that I install before version 5 will not let me run it. Instead it comes up with “you need to update” and some update window pops up. How do we avoid this, and still use the old version? I really dislike the new versions, and was using version 2.5 until mid-2011. This version looked simpler, had facilities to search for members, and did not have all of the facebook / msn garbage, which was one of the reasons that I switched to Skype in the first place! Hi. Thanks for the comment. It made me realize that the title might be misleading. I will think about changing it a little. If there are any questions you can leave a comment there as well. Oh and also.. IS there a place to find older version for IPAD? If she can’t update to 6.3 then you have to use an older one. I do not know which is the most recent that will work, but 3.8 should work for sure ;). You can also try 4 if you want. I don’t know about the other thing.